Finland has lost its spot at the top of the World Press Freedom Index after a five-year run. 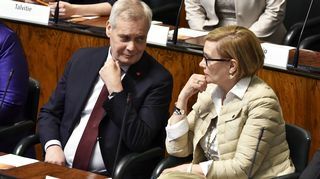 The NGO Reporters without Borders cited Prime Minister Juha Sipilä’s alleged attempts to influence Yle coverage of his potential conflict of interest in a state-funded nickel mine as one reason for Finland's tarnished image. Norway has ousted Finland from the pinnacle of the annual World Press Freedom Index issued by the NGO Reporters without Borders. RWB attributed Finland’s loss of status in the 2017 report to Prime Minister Juha Sipilä’s reported attempts to influence coverage of potential conflicts of interest involving the taxpayer-funded Terrafame nickel mine. The incident was dubbed "Sipilägate" by Finnish media. The PM admitted to sending around 20 emails to an Yle journalist reporting on a government decision to award 200 million euros in additional funding to the cash-strapped mine. Just two weeks later, the stricken mine awarded a half-million-euro contract to a company owned by Sipilä’s relatives. Sipilä reportedly applied pressure on the national broadcaster to kill further reporting on the matter, prompting two journalists to quit. They cited political pressure as the reason for their decisions, although senior management in the company denied caving to the Prime Minister’s demands. At the time, RWB condemned what it called "harassment of state TV journalists". In March, Finland’s self-policing media watchdog, the JSN, ruled that Sipilä curbed freedom of speech when he bombarded journalists with emails complaining about the story. The council found that Yle changed tack after Sipilä made contact, killing follow-up stories and changing others. The organisation’s latest report ranks more than 180 countries on the basis of press freedom and the right to free speech. Finland had previously topped the ranking from 2009 to 2016. "The PM admitted to sending around 20 emails to an Yle journalist reporting on a government decision to award 200 million euros in additional funding to the cash-strapped mine. Just two weeks later, the stricken mine awarded a half-million-euro contract to a company owned by Sipilä’s relatives." "The PM admitted to sending around 20 emails to an Yle journalist reporting on a government decision to award 100 million euros in additional funding to the cash-strapped mine. The previous month, the stricken mine had awarded a half-million-euro contract to a company owned by Sipilä’s relatives." Antti Rinne's role as speaker may be a temporary stint, as he will likely become the country's next prime minister.